Key assignments began to come together Thursday during the Legislature’s organizational session. Senate leadership announced new committee assignments and chairpersons. But House leaders said they will not announce the new House Education Committee chairman or other assignments until early Friday. One top headline from Thursday was the appointment of Sen. Steve Bair, R-Blackfoot, to co-chair the budget-setting Joint Finance-Appropriations Committee. Bair is beginning his seventh legislative term and has served on JFAC for the past 10 years. Bair said he will pay particularly close attention to a proposal to rewrite Idaho’s public school funding formula and the effects such a change could have on the state budget. Elsewhere, Sen. Dean Mortimer, R-Idaho Falls, retained control of the Senate Education Committee, as expected. The nine-member committee has three new members: New Sen. Dave Lent, a member of the Idaho Falls School Board; new Sen. Jim Woodward, R-Sagle; and Sen. Don Cheatham, R-Post Falls. Before his election to the Senate this year, Cheatham served on the House Education Committee. Lent said he is looking forward to getting involved in education issues and expects a busy session. “In particular, career-technical education is of importance to me, and I look forward to helping to raise the bar for education in our great state,” Lent said. Lent has served on the Idaho Falls School Board for 12 years but said he will step down now that he has been sworn in as a senator. The Senate adjourned its organizational session Thursday afternoon after completing committee assignments. The House will return at 8 a.m. Friday. The 2019 legislative session is scheduled to begin Jan. 7 inside the Statehouse. Gov.-elect Brad Little will open the session with his State of the State address that day. Chairman Dean Mortimer, R-Idaho Falls. Sen. Lori Den Hartog, R-Meridian. Senate Co-Chair Steve Bair, R-Blackfoot. 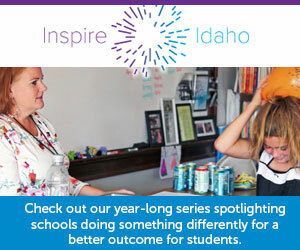 Check back with Idaho Education News on Friday to learn who the next House Education Committee chairman is.